The Riigikogu passed with 85 votes in favour the Act on Amendments to the Citizenship Act (586 SE), initiated by the Constitutional Committee. One member of the Riigikogu abstained. 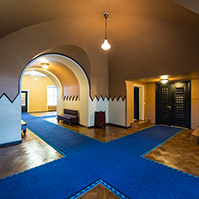 The Act provides more favourable requirements for applying for Estonian citizenship for persons whose legal status was not defined, due to inactivity of the legal representative, while they were less than 15 years of age. 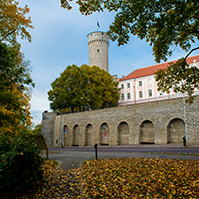 The Act eliminates unequal treatment of a person under 15 years of age in the case when the legal representative failed to apply for a residence permit for him or her while he or she was less than 15 years of age but he or she has stayed in Estonia for at least eight years before attaining 15 years of age. The amendment has been prepared on the basis of the proposal No 21 of the Chancellor of Justice. 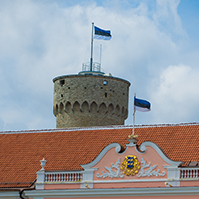 The Riigikogu approved the Resolution of the Riigikogu “Amendment of the Resolution of the Riigikogu “Formation of the Estonian Delegation to the Interparliamentary Assembly of the Republic of Estonia, the Republic of Latvia and the Republic of Lithuania”” (672 OE), submitted by the Foreign Affairs Committee. 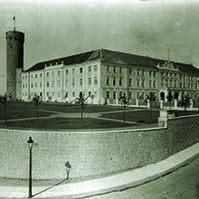 78 members of the Riigikogu were in favour of the Resolution and two abstained. With the Resolution, Andre Sepp and Ülo Tulik are excluded from the membership of the delegation, and Peep Aru and Peeter Laurson are appointed as members of the delegation. The Bill on Compensation for Damage Caused in Offence Procedure (635 SE), initiated by the Constitutional Committee, which specifies and simplifies the procedure under which persons who have suffered damage due to taking into custody, exclusion from office or seizure of property without justification receive compensation from the state. The Bill establishes a regulation for compensating for damage to persons who have suffered moral or material damage in an offence procedure. The precondition for the compensation for damage is that the person has been the subject of a final acquittal by a court, or criminal proceedings with regard to him or her have been terminated. The bases for compensation include cases e.g. where a person has been taken into custody, detained as a suspect or excluded from office, a prohibition from departing from his or her residence has been imposed on him or her, or his or her property has been seized or taken away. In order to receive compensation, actual damage must have been incurred by the person, and a causal relationship between the damage and the abovementioned restrictions must be present. The Bill provides that a general court decides on compensation for damage caused in an offence procedure. 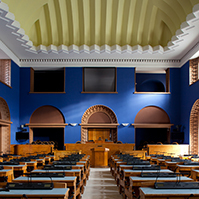 The Bill on Amendments to the Social Welfare Act (636 SE), initiated by the Estonian Centre Party Faction, according to which the child benefit paid on the basis of the State Family Benefits Act will not be included in the income of the person or family upon calculation of a subsistence benefit. The Bill on Amendments to § 22² of the Roads Act (591 SE), initiated by the Social Democratic Party Faction. The Bill is intended to grant local governments a pre-emptive right upon transfer of private roads. According to the explanatory memorandum of the Bill, this would be the fastest way to allow for public use of private roads. Also, the acquisition of a private road by pre-emptive right may prove more advantageous than the compensation paid for the transfer of the road later, or the fee paid to the owner of the road for the public use of the private road. The Bill on Amendments to § 16 of the Roads Act (618 SE), initiated by the Estonian Centre Party Faction, which had been intended to allocate at least 10% of the proceeds from fuel excise duty to local governments for the financing of local road management in the budgets for the coming years. Jaan Õunapuu and Tarmo Tamm took the floor during the debate. The result of voting: 48 members of the Riigikogu voted in favour and 32 voted against. 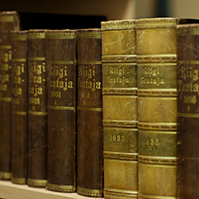 The Bill on Amendments to § 15 of the Value Added Tax Act (630 SE), initiated by members of the Riigikogu Juku-Kalle Raid, Olga Sõtnik, Priit Sibul, Mart Meri and Andres Herkel, which had been intended to reduce the VAT rate on books and workbooks used as teaching aids from nine per cent to five per cent. Priit Sibul and Rein Lang took the floor during the debate. The result of voting: 42 votes in favour, 11 votes against and 1 abstention.